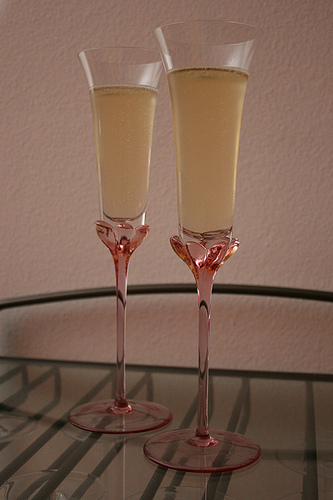 The Flatland Chronicles: Pictures from the Earth: Champagne! 1. "Champagne on the Bastion" by Matthias Book (photo page). (www.matthiasbook.de) This is a radiant photograph. Everything in it is the color of champagne. I do not own the rights to this Creative Commons photograph, but am using it in compliance with the terms of the license. Please don't save or use it without first consulting the terms of the applicable license. License is here. 3. "Big Decisions" by April Killingsworth (photo page) (website: Sweet Monday, Los Angeles) These are elegant and intimate rather than festive and sparkling. A perfect finish for a long, lazy meal with delicious little bits of things to nibble on. Lovely. 4. "Cheers!" by Gin Soak (photo page). Party champagne for the holidays! This photograph is neon-bright (though in such soft colors, a unique effect). It just comes off the page at you. Note the layer of brilliant golden bubbles. It's a party in a glass! 5. "Wine Glass Splash" by Steve Ryan (photo page). Up close and personal. 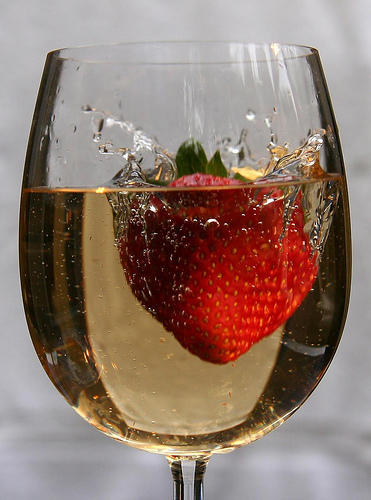 Champagne and strawberries: luscious! Love the splash and the sparkles. 6. Cheers! by Jahdakine/John (photo page). Looking deep into my champagne glass, I can see stars! And confetti! I'm going to take this as an augury for the New Year! 7.Damn, that Champagne is Good! by Robert Catalano (photo page). Damn straight. I enjoyed the article. I found it to be very interesting well written and informative. Keep up the great work. You have helped me to learn more about this.